The Canadian federal government has approved the Northern Gateway oil pipeline, a nearly $8 billion dollar project that would involve a pipeline running from the tar sands of Alberta to the coast of British Colombia, with 525 thousand barrels of crude running through it each day. While federal approval in the United States would all but guarantee the building of the pipeline, in Canada, far more restrictions must be overcome before the project is undertaken. In fact, the proponent of the pipeline, Enbridge, needs to pass over 200 conditions regarding aspects like impact on the environment and details surrounding the pipeline’s construction. Although that goal seems daunting, Enbridge predicts it will meet the predetermined set of standards in just over a year. Needless to say, the construction of the pipeline, while advocated by spokespersons in the oil industry, is vehemently opposed by environmentalists and indigenous groups concerned about its effects on the wildlife in the area. In fact, a portion of the proposed pipeline would cross over land owned by the First Nations tribes, who have already spoken out against the pipeline. The Coastal segment of the First Nations is even pursuing legal action to block the pipeline’s constructions, and some experts think opposition from the First Nations will ultimately sink plans to build the pipeline due to the permits that would eventually be required to build. 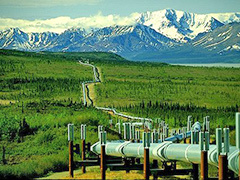 With any luck, the proposition for the building of the Northern Gateway pipeline will be just an ill-conceived memory. Liberals vs Conservatives: Who Wastes More Electricity? Posted on June 23rd under Non Renewable Energy Sources.